The Pokemon Trading Card Game was first introduced in Japan in 1996 and then in the US in 1998. 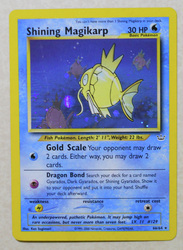 As the name implies, Pokemon cards are both collectible and playable. 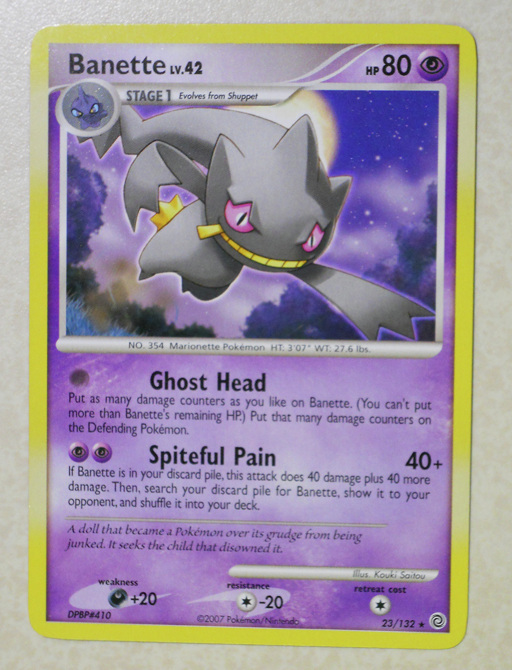 Like many other TCGs, the cards vary in rarity, with the rarest cards often having a holographic background, and are sold in theme decks and booster packs. Over 40 sets have been produced in the US (the first few sets being produced by Wizards of the Coast, and later and recent sets being produced by Nintendo), with plenty of new sets still coming out every few months. 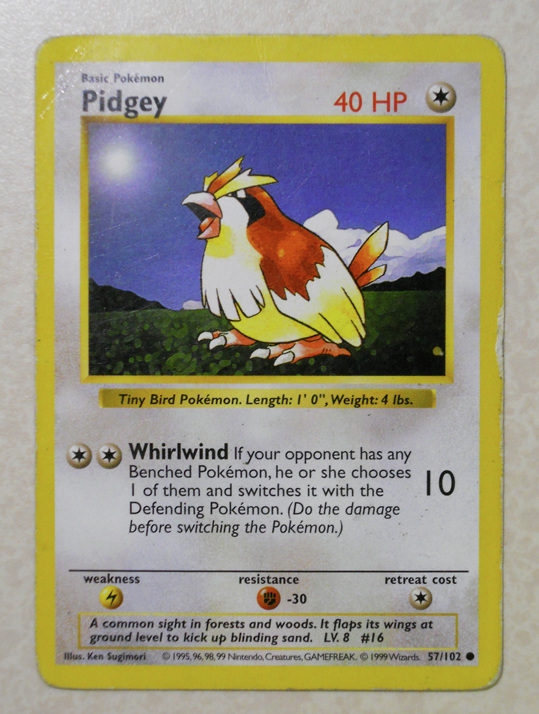 As mentioned in the "About Me" section, my very first card was a Base Set Pidgey, mailed to me by a friend who was out of state. 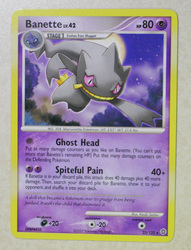 That card (which I still have), was what started it all for me. 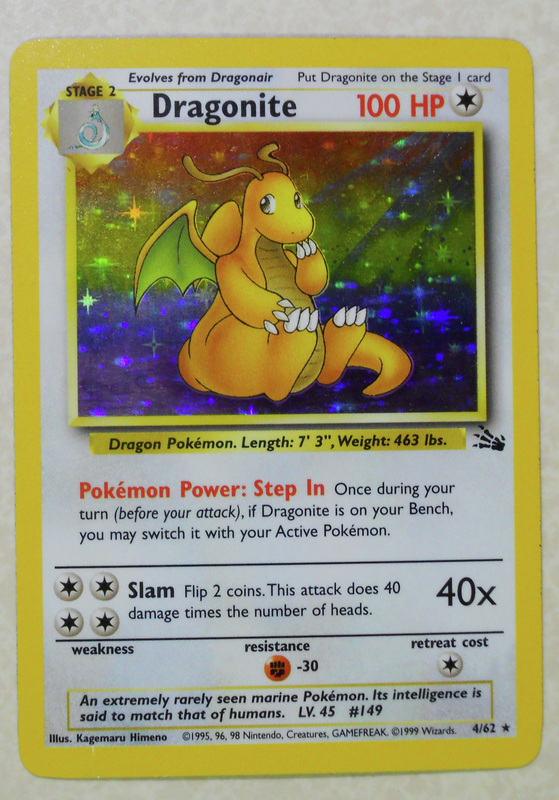 Since I didn't have a Game Boy for the longest time, my TCG collection was my sole connection to the Pokemon fad and it something I was very proud of considering how my parents probably allowed me less than 5 booster packs total in all these years. I am amazed by how far I have come since then, and I could not have done it without the help and freebies I have received from so many friends. 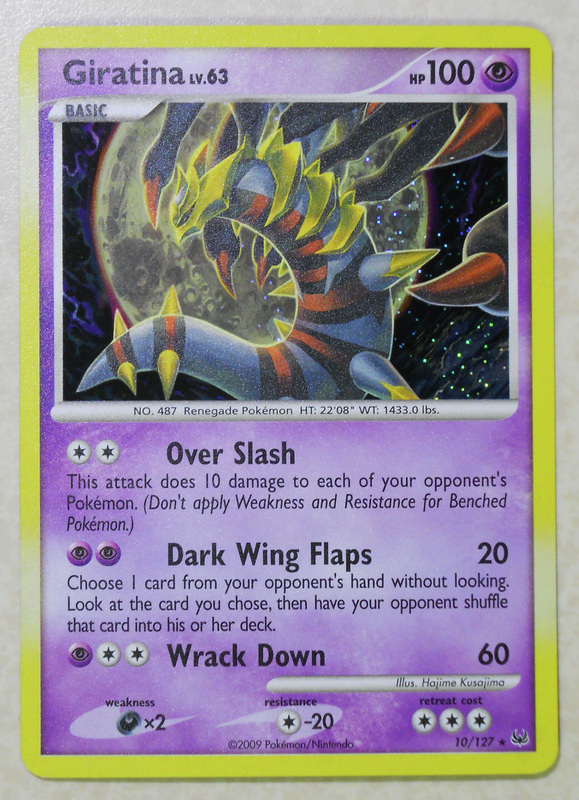 Since I have been collecting the TCG since the beginning, it is easily my largest collection. I have every card from the Base Set, Jungle, Fossil, Neo Discovery, and Neo Revelation sets, and I am currently trying to complete the Legend sets and the rest of the Neo sets. 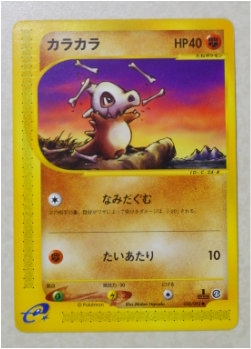 I will upload a "Featured Card" every now and then (the goal is once a week), occasionally uploading several at a time if I feel like it. 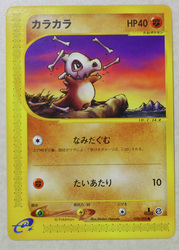 Not much to say other than... OMG, Cubone actually looks happy in this card! What can I say? 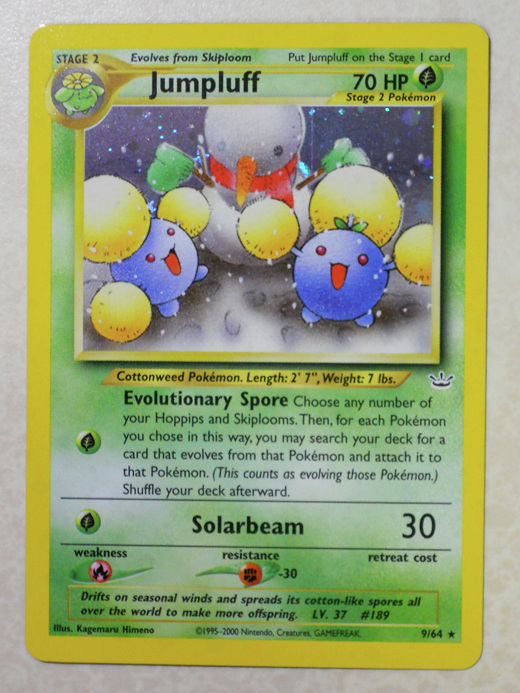 I am absolutely in love with the illustration for this card. 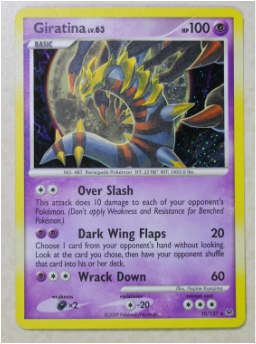 Even though I prefer Another Forme Giratina to Origin Forme Giratina, I can still appreciate the beauty of this card. 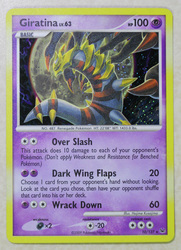 The full moon and cloudy night sky in the background are gorgeous, and Giratina itself was very well drawn. 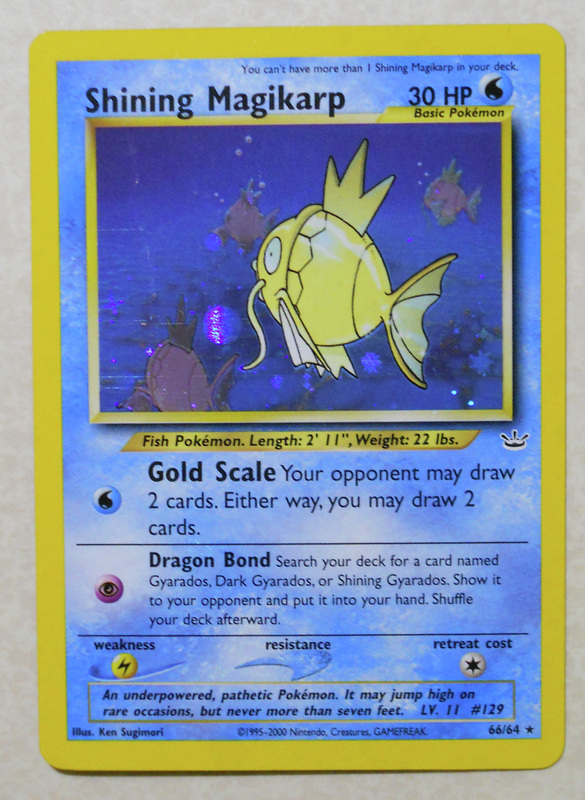 Magikarp is notorious for, well, being utterly useless, but it seems that it occasionally is good for something in the TCG (usually involving getting Gyarados out as fast as possible). 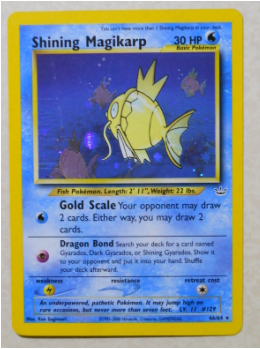 I suppose most people would be pretty angry about getting a Shining Magikarp in a booster pack (especially when there are plenty of other Shining cards, like Charizard and Mewtwo), but I've always had very nasty luck with booster packs, so I was quite pleased when I got this guy. 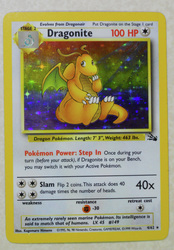 Don't ask me how Dragonair evolves into Dragonite because I have no idea. 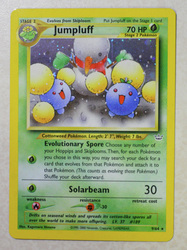 It's just one of those many things about Pokemon that don't make any sense whatsoever. 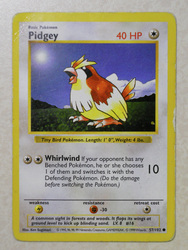 (Like flying around in the game with a Pidgey or catching a Gyarados with a fishing rod.) 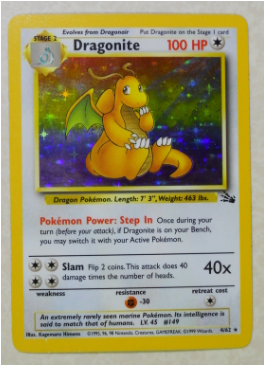 Dragonite is meaningful to me because it's the favorite of A LOT of people I know... my boyfriend, my brother, and one of my best friends.